When our loved ones begin to struggle as they age, it is up to us to ensure that they receive the care they need. Some conditions do not affect the patient’s mind, making them capable of requesting medical care or day-to-day assistance. However, some conditions can affect their cognitive function. When that happens, we must be there to recognize the signs and get them the help that they need. Dementia isn’t one illness. It’s a term used to describe a category of diseases that cause a decline in cognitive ability. Diagnosis usually requires the impairment of at least two core mental functions that interfere with daily life. These functions include visual perception, reasoning and problem-solving, language skills, memory, and the ability to pay attention. There is no dementia test. Instead, doctors will run several tests to determine the cause. A neurological screening is performed to evaluate things like reflexes, balance, problem-solving, visual perception, memory, language, senses, and mobility. Brain scans may also be recommended. A CT or MRI can show signs of stroke, tumor, bleeding, or hydrocephalus. A PET scan will show patterns in brain activity that indicate whether the amyloid protein has been deposited. This is an indication of Alzheimer’s disease. Blood tests can show signs of conditions that can affect the brain like an underactive thyroid gland or vitamin B-12 deficiency. Spinal fluid may also be examined for signs of inflammation, infection or degenerative diseases. Doctors may prescribe a psychiatric evaluation. This test is used to determine if the patient is experiencing depression or other mental health conditions that could be causing or contributing to symptoms. The dementia category is divided into two groups based on which part of the brain the disease affects. The first is cortical dementia. This category affects the cerebral cortex or outer layer of the brain. This area is important for language and memory. Patients with this type of dementia tend to experience memory loss and no longer understand language or remember words. Creutzfeldt-Jakob and Alzheimer’s diseases are examples of cortical dementia. The second category includes subcortical dementias. These diseases affect areas found under the cortex. Patients usually experience changes in their speed of thinking and ability to begin an activity. They don’t usually have issues with language skills or forgetfulness like those in the cortical dementia category. Subcortical diseases include HIV, Huntington’s and Parkinson’s. Patients will begin to have trouble remembering words. This is something we all do once in a while, but a dementia patient may forget simple words or incorrectly use words. They may also have trouble understanding what others are saying to them. Abstract thinking also becomes much more difficult. For example, a person with early dementia may have trouble understanding numbers and knowing what to do with them. This can translate to issues managing finances. Other signs to watch for is a loss of interest in things the person once enjoyed, poor spatial skills, forgetting what everyday objects are for, and poor judgment. Most dementia diseases cannot be cured, but they can be managed through medications and therapy. Cholinesterase inhibitors may be prescribed to boost the chemical messenger required for judgment and memory. These drugs include donepezil, galantamine, and rivastigmine. Memantine may be prescribed to regulate glutamate activity which is another of the brain’s chemical messengers that help with learning and memory. Occupational therapy teaches the patient coping behaviors. These are intended to lower the risk of an accidental fall or injury. The patient and their caregiver will also be advised to modify their home environment to make it safer. Clutter should be removed along with excess noise. Monitoring systems may be installed in case of wandering. There is no way to guarantee that a person will not develop a dementia disease later in life. However, some factors may be reversible while certain lifestyle changes can lower your risk. A Healthy Diet and Exercise – Diets that are high in saturated fat, sugar, and salt and low in fiber can increase your risk of many conditions, including dementia diseases. Older adults who exercise regularly are less likely to have cognitive problems than those who do not. Stop Smoking – Smoking narrows your arteries, which increases blood pressure. This also increases the risk of cardiovascular disease and cancer. A study found that heavy smoking between 50 and 60 years of age may increase the risk of developing Alzheimer’s disease. Drinking Alcohol in Moderation – Excessive drinking is known to have many negative effects on the body including an increased risk of cancer, heart disease, and stroke. It also damages the nervous system and brain. Depression Treatment – Depression and dementia share a complex relationship. There are indications that untreated depression could increase the risk of developing a dementia disease. Depression can also appear as one of the symptoms of dementia. 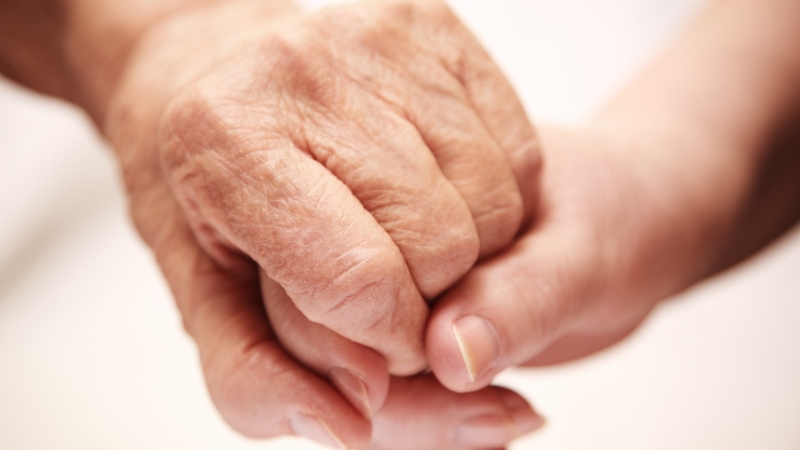 When Should My Loved One with Dementia Go Into An Assisted Living Facility? This is a tough question to answer. Many families don’t want to face the fact that their loved one is getting older and needs more care than they can provide. Safety is often a concern, especially in patients who wander or develop combative behavior. When should you consider looking for an assisted living facility for your loved one with dementia? If you notice signs of dementia or aren’t sure if your loved one is safe living on their own, talk to a medical professional. They can provide advice and perform an assessment to determine the best course of action to take.